It is a well-known fact that carpets make homes more comfortable and welcoming. Carpets are popular flooring solutions because they are soft and warm. Carpets have to be vacuumed and cleaned regularly in order for them to remain in perfect condition. People’s day to day activities can contribute to the rapid wear and tear of carpets if they are not well maintained. Normal day to day life at home demands a lot of from carpets. Professional carpet cleaning is the most convenient and effective way of ensuring that your carpets stay in good condition. The benefits of carpet cleaning are quite many. For starters, there is the obvious benefit of feeling great as you walk barefoot on a freshly cleaned carpet. This is a feeling that many people out there today treasure a lot. However, for you to really enjoy this experience, you must delegate the work of cleaning your carpets to a team of qualified and experienced cleaners. Here are some of the main benefits of working with a professional carpet cleaning service. 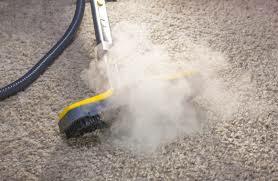 It is almost impossible to thoroughly clean your carpets using household cleaning tools and supplies. This is because carpets are actually one of the dirtiest things you can find in a home. They collect all manner of dirt and particles that people and pets bring in from the outdoors. There are also stains and blemishes that may occur from spillages and accidents at home. All this residue can be eliminated using special carpet cleaning methods such as hot water extraction and industrial vacuuming. The right types of cleaning chemicals are used to ensure the fibres in your carpets are not damaged in any way. Many people out there today suffer from different types of allergies that can be triggered by simple things such as dust or pollen from flowers. When these allergens are present in your home, affected people can experience a lot of unnecessary allergic reactions such as sneezing and coughing. This is not good. Even guests or visitors who come to your home can be victims of the numerous allergens found in your carpets. Professional carpet cleaners ensure that all allergens are removed from your carpets so that everyone in your home can live comfortably and in a safe environment. Many people are fond of taking up carpet cleaning as a do it yourself task. This is all well and good but without the right skill set and equipment, this task can be quite tedious and time-consuming. You end up wasting a lot of time cleaning out your carpets and there is a high chance they will not end up as clean as you may have wanted. You can save a lot of precious time by calling a team of professional carpet cleaners to help you out. The above benefits are just a few among many others of using a professional carpet cleaning services. The benefits of carpet cleaning are therefore enough reason for you to try out a quality service today.